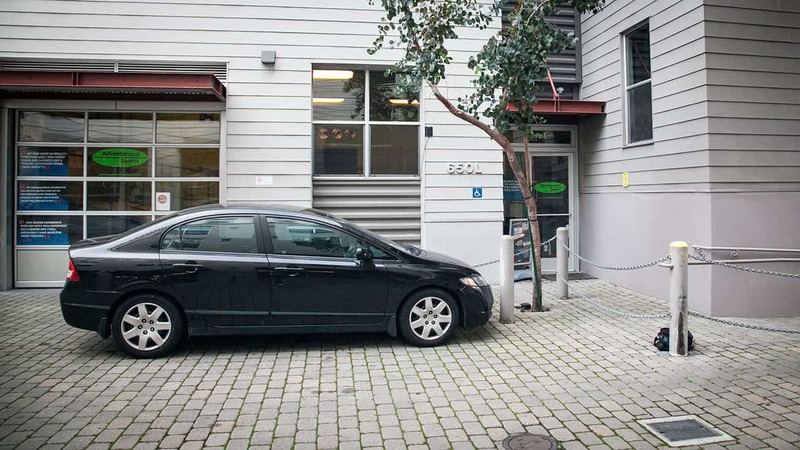 Located in the Sports & Food mecca, Mission Creek, Adventurous Studio is in the COURTYARD of 650 Florida Street. 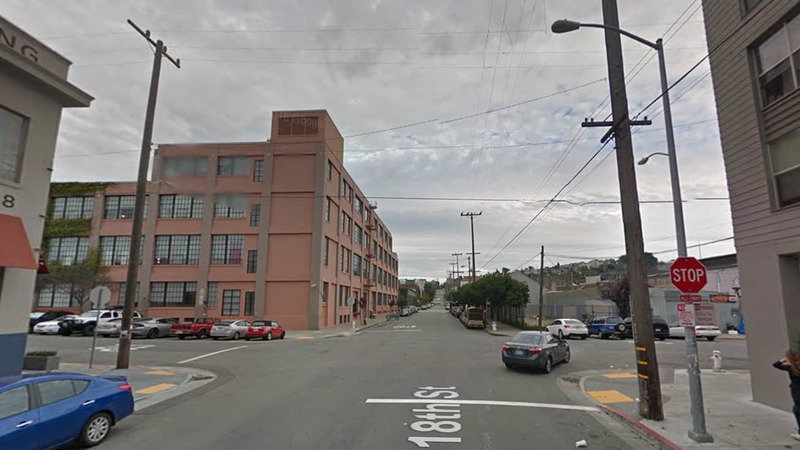 We’re between Harrison & Bryant streets, at 18th, at the base of Potrero Hill. 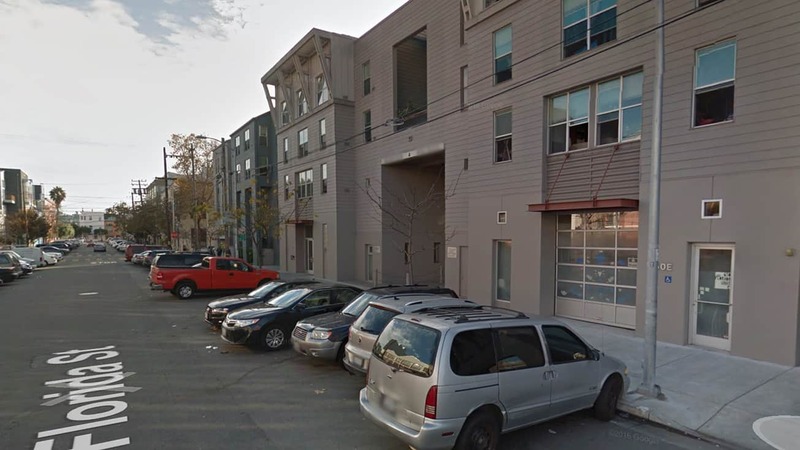 (Our courtyard is between Florida & Alabama & 18th & 19th.) Turn into the courtyard, see the green oval logo at front left, and pull into 1 of the parking spaces we have saved for you! Then you’re 5 steps away! 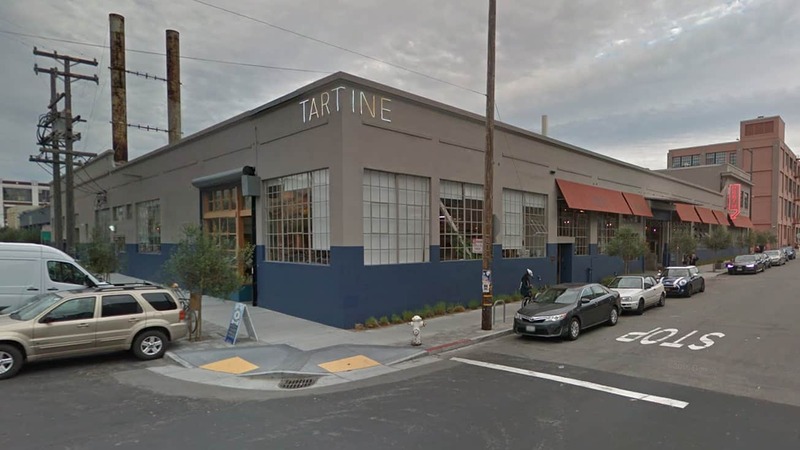 Our corner neighbors are the fabulous Heath Ceramics & brand-new Tartine restaurant. We’re 1 block from industrial-chic Coffee Bar & 1/2-block from blissful In-Symmetry Wellness Spa. 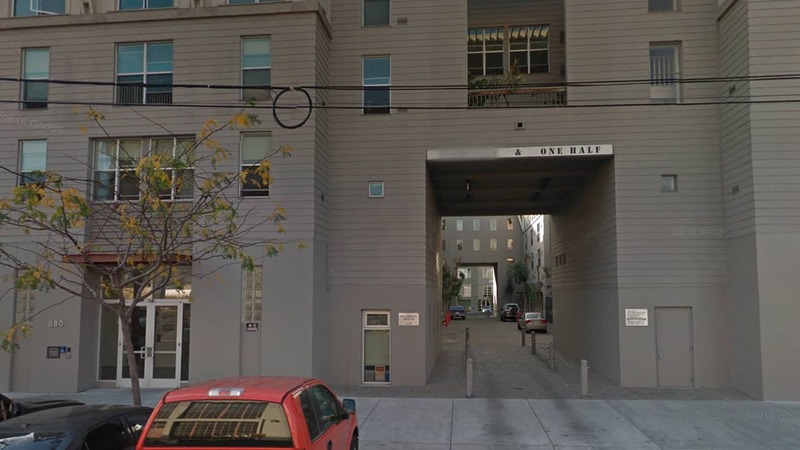 Sports-wise, we share our courtyard with Bike Kitchen, are 2 blocks from Sports Basement, steps from Mission Cliffs Climbing gym on Harrison & share a neighborhood with Golden Gate Fencing Center, HIT FIT SF gym & The Corner Studio Pilates. Food-wise, we’re a 1/2-block from Universal Cafe on 19th, Farmhouse Kitchen Thai on Florida, & close to flour+water & Gus’s Market. 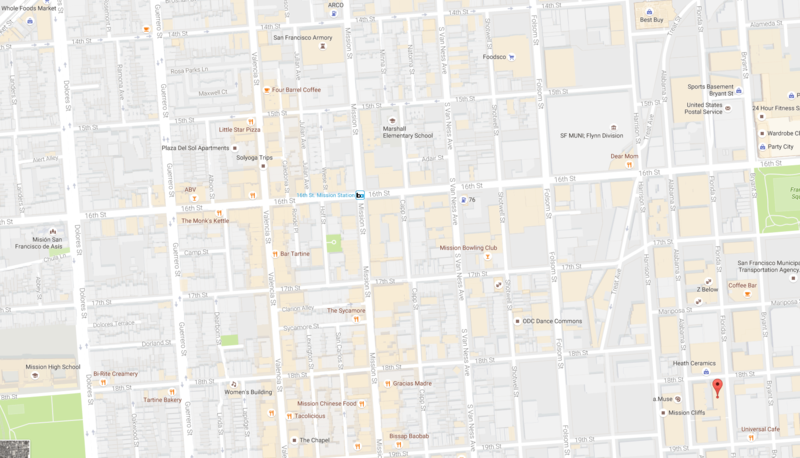 Charles Chocolates is a 1/2 block up, on the way to CoffeeBar, & Taboo Cafe is up on York. Top it off with Atlas Cafe, Salumeria, Sightless Coffee, & Tradesman—all around Florida/Alabama at 20th. Join our team at Adventurous if you’d like to…Take SpyCamp Cadets to a DefCon Kids conference in Vegas to show the next generation how to be White Hat hackers for the good guys. Join our team at Adventurous if you’d like to…Teach circuitry & magnetism & geography, all mixed up in a soup of games and skits and fun. Join our team at Adventurous if you’d like to…Teach parkour and run challenge games to track and elude Operatives. Join our team at Adventurous if you’d like to…Design treasure hunts with geocaching, photo surveillance, secret codes and new inventions from your own secret espionage past. Join our team at Adventurous if you’d like to…Use your PSIA Ski or AASI Snowboard certification to dramatically accelerate client snow skills in fun, personal and innovative ways. Join our team at Adventurous if you’d like to…Get students from “I’ve never been on a snowboard” to “I’m totally killing my switch.” And have the fun of seeing your client’s confidence grow every week. Join our team at Adventurous if you’d like to…Change the ever-Intermediate to a carving machine ready for double black diamond slopes. Where can I get a massage after my lesson? We’d thought you’d never ask! We Highly Recommend In-Symmetry wellness just around the corner. Their staff is top-notch and super nice with an extra layer of fun.